Despite our best efforts to reduce the number of bookkeeping errors our users make, we are aware that our Partner accountants may still have to fix errors in their clients' accounts from time to time. Our bulk editing tool will allow you to edit or delete multiple transactions in just a few clicks. As in the above steps, filter down your transactions to show the ones you would like to delete. 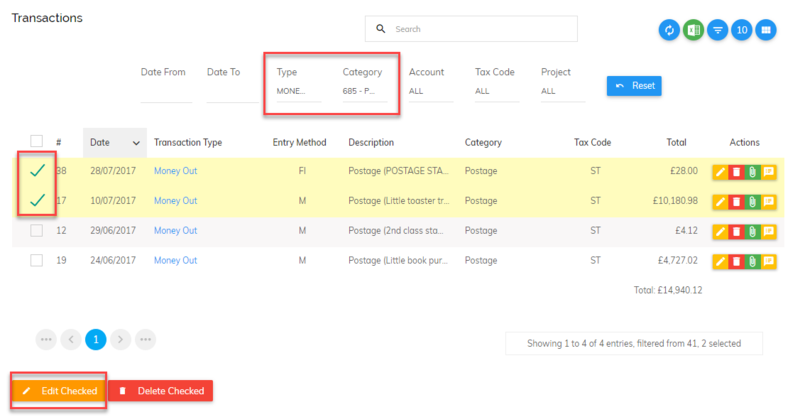 Then check the relevant transactions before clicking 'Delete Checked'. Please note, if you are trying to delete invoices with credit notes and/or payments attached to them then you may need to delete these first before the invoices can be deleted. This is to protect the integrity of your data.